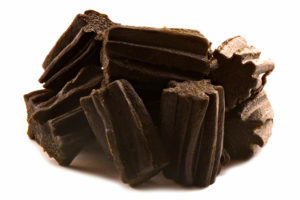 While Australian red licorice has a unique, soft, chewy texture comparable to black licorice, their similarities end there. This red licorice will excite your taste buds with its delightful strawberry flavor. 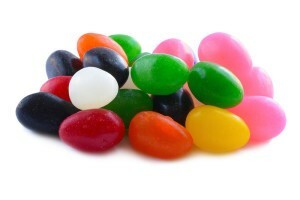 This popular candy has an ideal balance of sweetness and fruity tanginess that can easily make it one of your favorite ways to satisfy your sweet tooth. Glucose Syrup (from wheat contains sulphites), Flour, Sugar, Water, Citric Acid, Licorice Extract, Strawberry Flavor, Color (FD&C Red #40), Mono and Diglycerides (emulsifier), Salt, Potassium Sorbate (preservative), Vegetable Oil and Carnauba Wax (Glazing Agents). The only problem with these is how addicting they are – as soon as we get a new bag it’s devoured within the week! It really is the best price I’ve seen on this, and although I’d like them to be a little softer I’d recommend them to anyone. So much better than regular licorice! Amazingly soft and chewy texture. Unlike normal long licorice that you buy in a grocery store, these have a really great strawberry flavor to them. Very addicting!